During the Personal Protection at Home course, students will develop basic knowledge, skills, and attitude essential to the safe and efficient use of a firearm for protection of self and family. 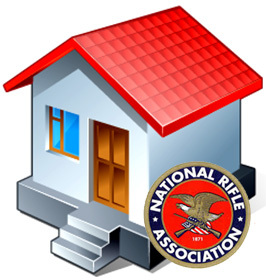 As well as to provide information on the law-abiding citizen’s right to self-defense. Participants will learn the skills to protect themselves and their family members. Self-supplied 200 rounds of ammunition are required. Length and setting of Course is 8 hours of mixed classroom and range instruction. Cost of Course is $600 + tax per group. NRA Certificate awarded upon successful completion.